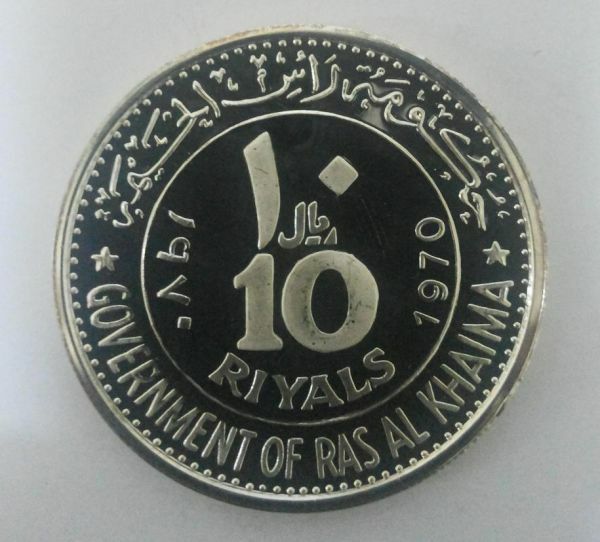 1970 Ras Al-Khaimah (United Arab Emirates) Eisenhower 10 Riyals Silver Coin. Ruler: Saqr bin Muhammad al Qasimi. Subject: 1st Anniversary - Death of Dwight Eisenhower.